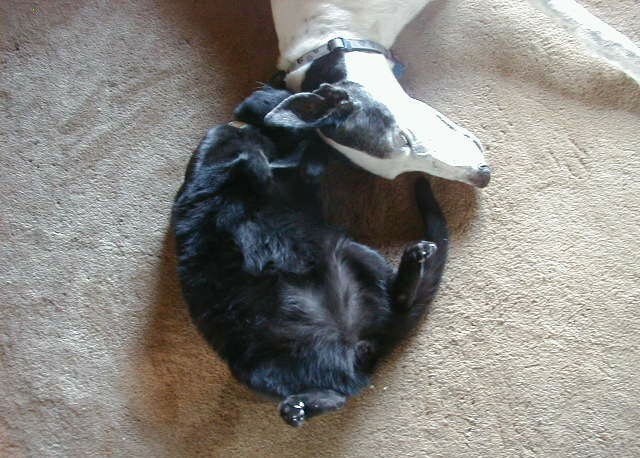 Squeaky was a very senior Greyhound when he became one of Garrett's friends. 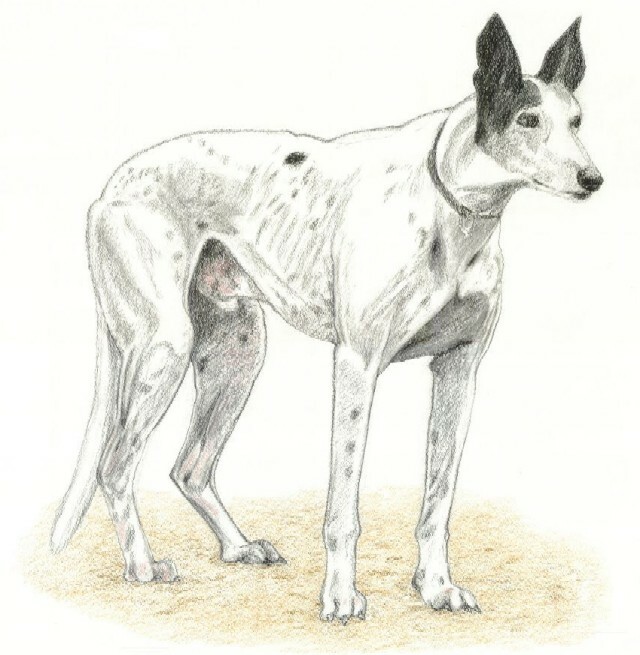 He lived with Judah and Lisa and his younger greyhound friend Sparkle. Squeaky prefered to spend his time at the dog park checking out the perimeter and getting the occasional pet. He was happy to be petted by Garrett's fur-parent and used to enjoy just being at the park. 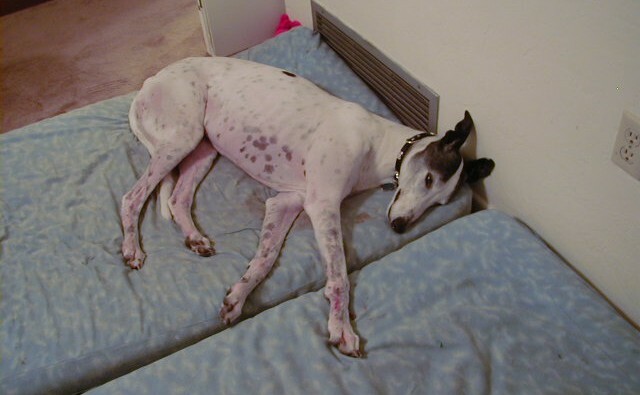 Near the end of his life, he decided to stay home and sleep. 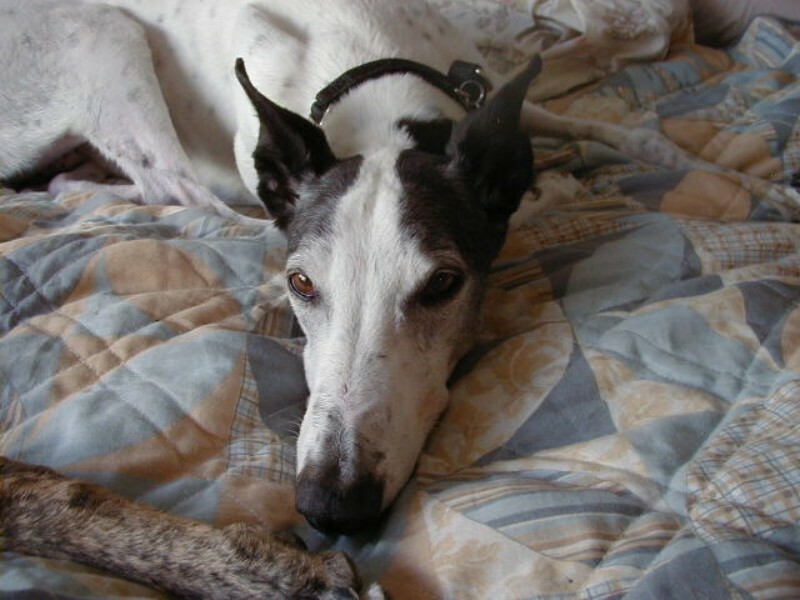 Squeaky passed away in October 2010 at the age of 13. He was born in 1997. 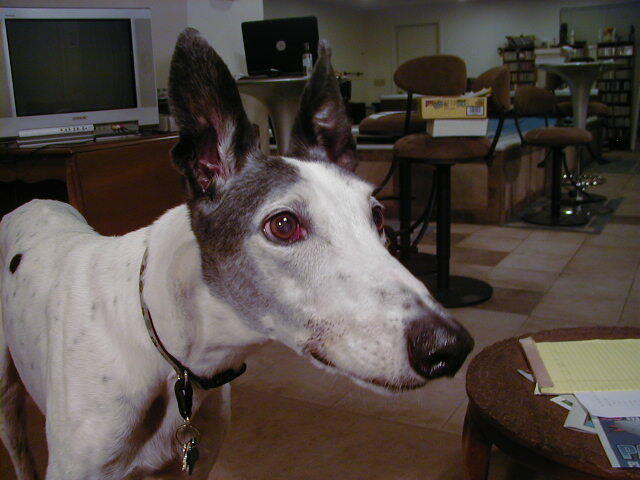 My 13-year-old Squeaky has crossed the Rainbow Bridge (in Greyhound-speak). His final illness was brief, and we were the ones to cut it short. He was the most considerate dog I could imagine, happy to share his meals and cookies with the cats, and polite almost to a fault. 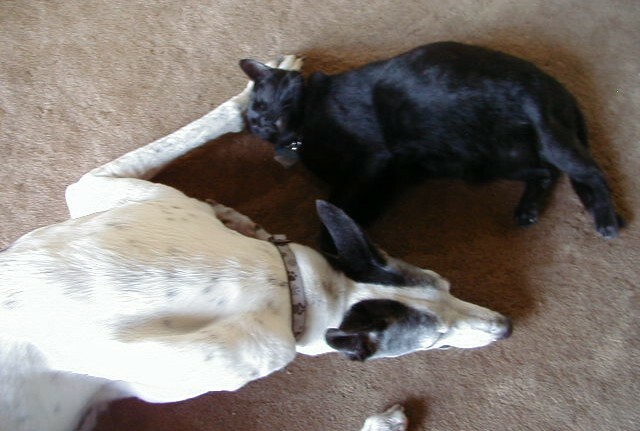 Our black cat was definitely his favorite, and the affection was mutual. 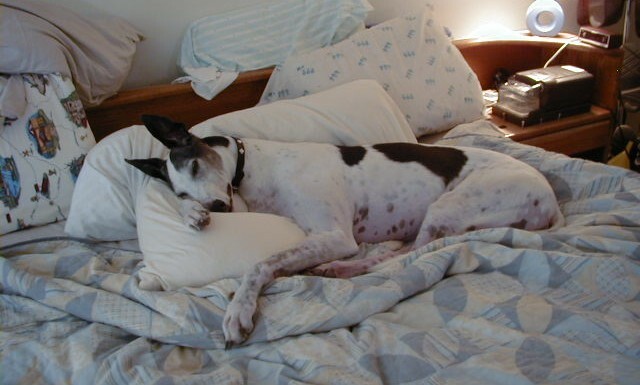 He was also a pillow-lover as some of these pictures show, and would do anything to please us. His favorite activity was an after-dinner walk with his "Daddy", second only to asking for and getting cookies.